“I have already accomplished a lot,” undefeated multi-division champion Roman Gonzalez said on a recent conference call. Without doubt, the Nicaraguan slugger known as Chocolatito has earned some well deserved accolades. 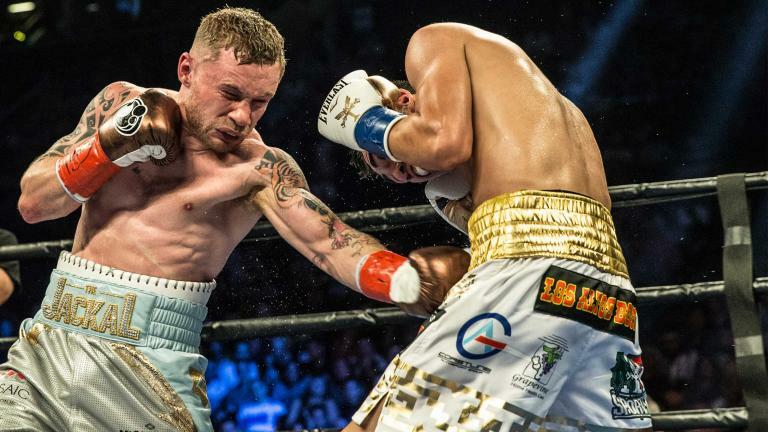 Last November the man won a world title in his fourth weight class by grinding out a grueling win against Carlos Cuadras for the WBC world super flyweight title. His legacy assured, Gonzalez is turning his attention towards other matters. “Now,” he claimed on the call, “my goal is to hold onto my fourth world title in order to gain higher purses and more money.” Fighting at 115 pounds isn’t exactly easy for Gonzalez, however. “Never did I think it was going to be easy campaigning in this division at 115,” Gonzalez said. “It takes time to get used to and I think that’s what is happening at the moment but I think I will be fine.” His battle against Cuadras certainly was no walk in the park. Defending champ Cuadras wasn’t in it to lose. Indeed, the undefeated Mexican made it clear that he saw Gonzalez was his ticket to the big time. And even though Cuadras lost the fight, he gained an enormous amount of respect from the fight world. And now people, including, it seems, Gonzalez, are looking forward to a rematch. “As I look at a fight coming up against Carlos Cuadras again,” Gonzalez claimed, “I realize I have to train harder. Every opponent presents different challenges. I do believe that the second fight, the rematch, will be better.” First, however, Gonzalez has business to attend to in Madison Square Garden this Saturday. For, Gonzalez will be featured in the co main event of the Gennady Golovkin-Daniel Jacobs card. His opponent? The hard hitting former champ Srisaket Sor Rungvisai, the man who Cuadras won the super flyweight title from. In other words, it’s not necessarily easy going for Chocolatito this weekend. Sor Rungvisai may not have faced a murderer’s row throughout his career, but he goes to the body like it’s no one’s business. What’s more, Sun Rungvisai, like Cuadras, undoubtedly sees a great future ahead of him should he beat the Nicaraguan legend. Then there’s the matter that Gonzalez’ last fight was an absolutely brutal affair. Such things can have an impact. Add all this to the fact that the man has already reached Olympian heights and it’s worth wondering if an upset might be in the air. 42 years ago to the day Muhammad Ali fought George Foreman in the rumble in the jungle in what turned out to be one of the most significant boxing events in history, arguably, turned out to be the most significant victory of Muhammad ‘The Greatest’ Ali’s glittering career. 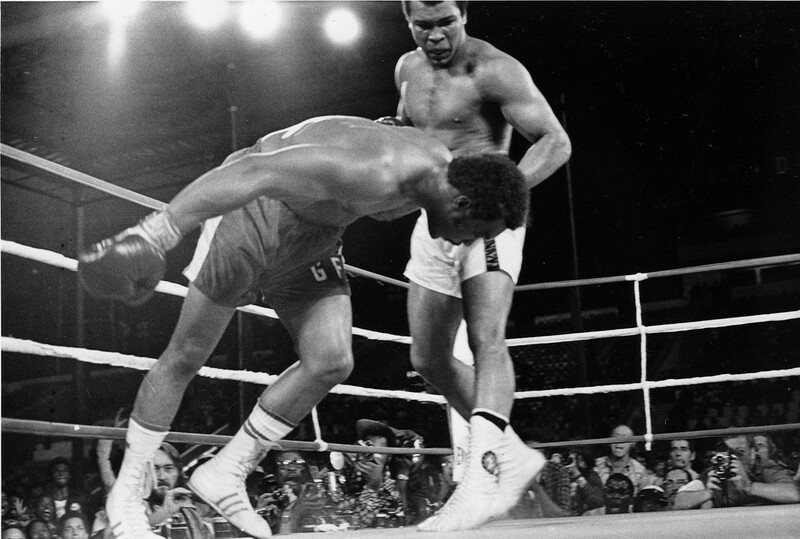 On October 30 1974, Muhammad Ali produced an 8th round knockout of the favoured George Foreman in Kinshasa, Zaire (now Democratic Republic of the Congo) in what is now regarded as one of the greatest sporting events of the 20th century. With the odds stacked against him, with a fearsome opponent in front of him, and, with plenty of miles on the clock – Ali didn’t just win the WBC and WBA world heavyweight titles that night, he cemented his place among the greats. And it easily could have been oh so different. Born as Cassisus Marcellus Clay, Jr, in Louisville, Kentucky on January 14, 1942, he went on to achieve gold at the Olympic games in Rome 1960. 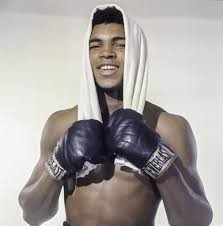 At the age of 22 after beating Sonny Liston and claiming the WBC and WBA world heavyweight titles for the first time he converted to Islam and changed his name from Cassius Clay, which he regarded as his ‘slave name’ to Muhammad Ali. 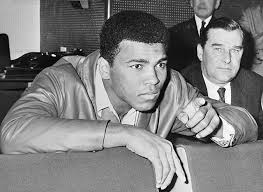 With the United States at war with Vietnam, Ali refused to be inducted into the U.S. Army on April 28, 1967, famously saying “I ain’t got no quarrel with those Vietcong”. He was convicted of draft evasion, fined $10,000 as well as being stripped of his belts and received a three-and-a-half-year suspension from boxing and a five-year prison sentence, though the latter was appealed and overturned. He regained his boxing licence in 1970 and began his reinvention and climb back to the top with comeback fights against Jerry Quarry and Oscar Bonavena. But while Ali was out of contention Joe ‘Smokin’ Frazier, an emerging talent took full advantage and claimed the world titles against Jimmy Ellis in February 1970. Ali didn’t have to wait long for his shot to claim those prized belts back though, but it was Frazier, who came out on top, dishing out Ali’s first defeat with a unanimous decision victory in 1971 to retain the belts. Frazier would have a taste of his own medicine two years later when gold medallist from the 1968 Olympics George Foreman, knocked him down six times on route to a second round TKO. When Foreman took on Ken Norton on 26 March 1974, Norton and Frazier, bearing in mind the latter who had just been demolished by Foreman, were the only men to have defeated Ali. Norton received the same treatment as Frazier and was stopped inside two rounds. At the age of just 25 the freakish power and sheer size of Foreman was why he was deemed as an overwhelming favourite when he and the then 32-year-old Muhammad Ali shared a ring. He was 40-0 with 37 KO’s and Ali had just avenged his two defeats by beating Norton and then Frazier in Madison Square Garden. It was all set for the rumble in the jungle. Funny enough it was one of Don King’s first ventures as a boxing promoter and he was joined by music businessman Jerry Masucci to arrange the fight. A three-night-long music festival dedicated to the fight took place as scheduled on September 22–24 1974. 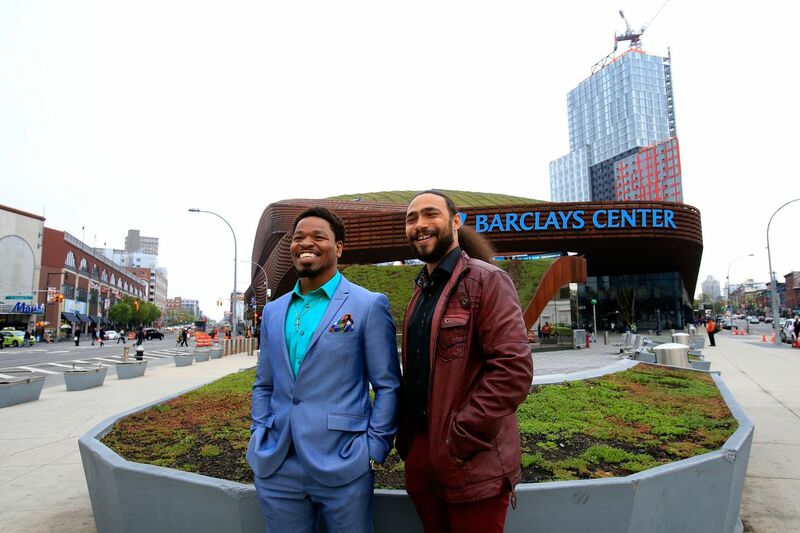 It included performances from James Brown, Celia Cruz and the Fania All-Stars, B.B. King, Miriam Makeba, The Spinners, Bill Withers, The Crusaders, and Manu Dibango. With 60,000 fans packed inside of the 20th May Stadium, surprisingly, Ali started the fight in aggressive fashion – something that seemed to favour Foreman’s style. In the build up to the fight Ali wasn’t shy of admitting he had a secret plan for Foreman and in the second round he administered it. 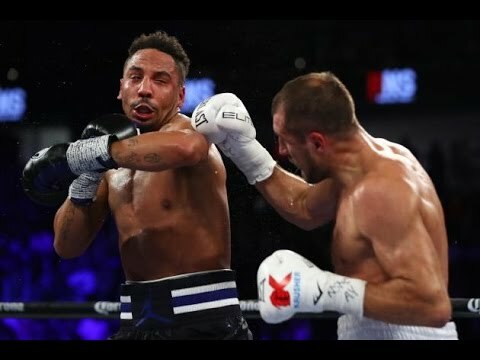 He began to frequently lean on the ropes and cover up as his opponent began to unload, the majority of the punches landing on the arms and body. Foreman was throwing regularly but his punches were not scoring and all the while he was exerting valuable energy. powerful punches but to little effect. Fast hard jabs and crosses from Ali began to pay dividends as he wobbled his opponent in the fourth. Foreman remained on the front foot and kept coming forward but started to look weary after the end of the fifth round. As the fight progressed it was the former world champion and underdog who was in control and in the eight he landed a solid 5-punch combination sent Foreman crashing to the canvas. 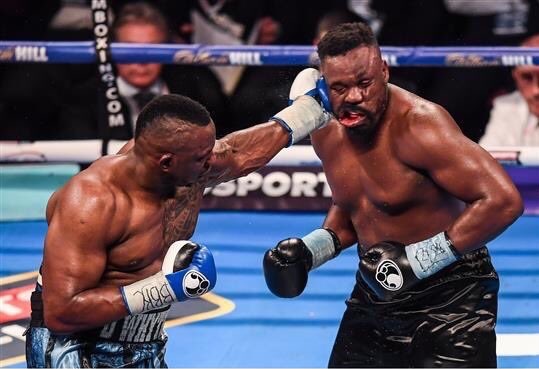 He got up at the nine count but referee Zach Clayton waved it off and at 32-years-old Muhammad Ali had regained the world heavyweight titles. The fight was awarded the 1974 Ring Magazine Fight of the Year. The against all the odds story of Ali conquering a young and stronger champion, the diverse cultural influence and the major hype of this fight are some of the reasons why this fight will always be remembered. Both Foreman and Ali achieved so much in their careers but this victory in this fight meant ‘The Greatest’ could shout out to the world with full conviction he is the greatest and that’s what he’s remembered as.